The city of Ankara gets a lot of bad press. While it’s the capital city of Turkey, Istanbul is infinitely more popular with tourists. As the capital city Ankara is also home to numerous government offices, in other words drab government buildings filled with dull people stamping documents. As true as all this may be there’s actually much more to Ankara than this. 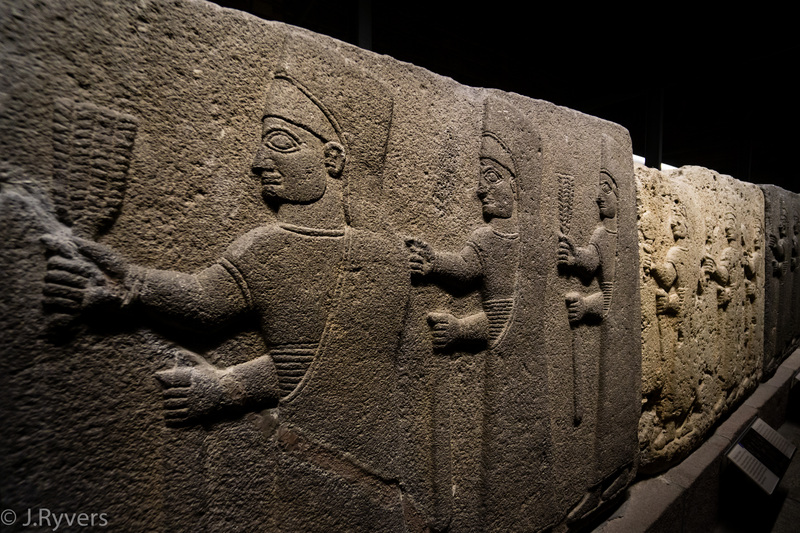 The high hill at the centre of Ankara is believed to have been fortified by the Hittites around 4000 years ago. Throughout its history Ankara, or Ancyra and later Angora, as it was known, reached two high points. It first reached prominence as the capital of the Roman Province of Galatia which brought with it great wealth and massive building projects such as the Temple of Augustus or the impressive Roman Baths. While Ankara remained important during the Byzantine period it was also a city frequently under threat and did not thrive as it once had. A series of somewhat frequent conquests by the Seljuks, Mongols, Ottomans, and the Mongols again made a poor environment for grand building projects and culture. During this period the Ottoman Sultan was even captured by the Mongol leader Tamerlane. In the 1400’s Ankara again rose to fame and prosperity as the city became known for producing fine Angora wool from Angora goats. As the city was also on the Silk Road to Constantinople the city prospered in trade. A good number of Ankara’s first Islamic buildings are from this era. With the industrial revolution and the shift from land to sea routes Ankara again fell, this time into a state of near abandonment and great disrepair. Ankara’s fortunes changed again in the aftermath of World War I when Atatürk, the founder of the Turkish Republic, set up his capital here due to its central location in Anatolia and good railways. It was from here that the War of Independence was led, and modern Turkey was born. After the establishment of the Republic, Atatürk set about redesigning the city to reflect the ideals of the new state and many beautiful government buildings were built at this time. Unfortunately, the 60’s and 70’s also saw new government buildings as well; all of which have aged poorly compared to those first projects. If you visit Ankara today the juxtaposition of ancient and modern is glaring. While most of the city has been built with government and utility in mind there’s still plenty of things that have remained from the city’s long and rich history that are well worth seeing today. While this isn’t the largest museum or the museum that covers the widest time frame, this is one of the best museums in Turkey. It houses items from the Anatolian Neolithic period such as wall paintings from Çatalhöyük, or early Bronze Age grave goods from Alacahöyük, Hittite tablets written in nearly microscopic cuneiform, and elaborate pieces of wood furniture from the grave of King Midas. The central room is filled with portions of stone walls from various cities across Anatolia, all covered in beautiful reliefs. 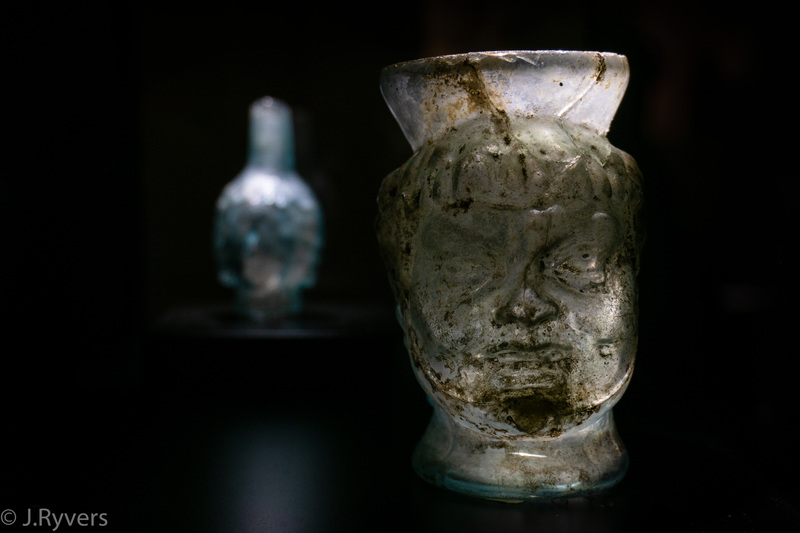 If you’ve travelled to other parts of Turkey and visited excavations, then this is a great opportunity to see the stunning collection of goods that were unearthed. 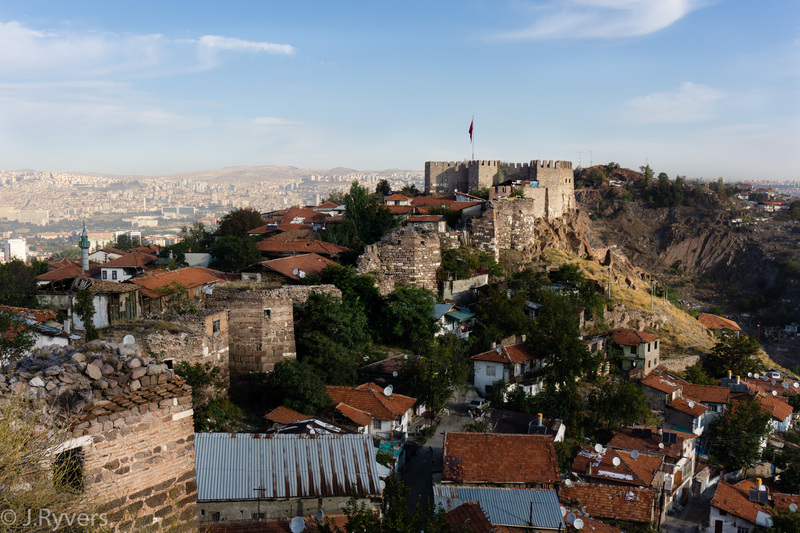 Certainly the most eye-catching sight of Ankara is its impressive hilltop castle. While the entire hill is fortified the citadel at the peak attracts many local and foreign visitors. It’s not yet clear when this hill was first fortified though many believe it was the Hittites (around 2000 BC) that first began to use this easily defensible site. The current walls were built by the Byzantines and expanded/repaired by the Seljuks and Ottomans. 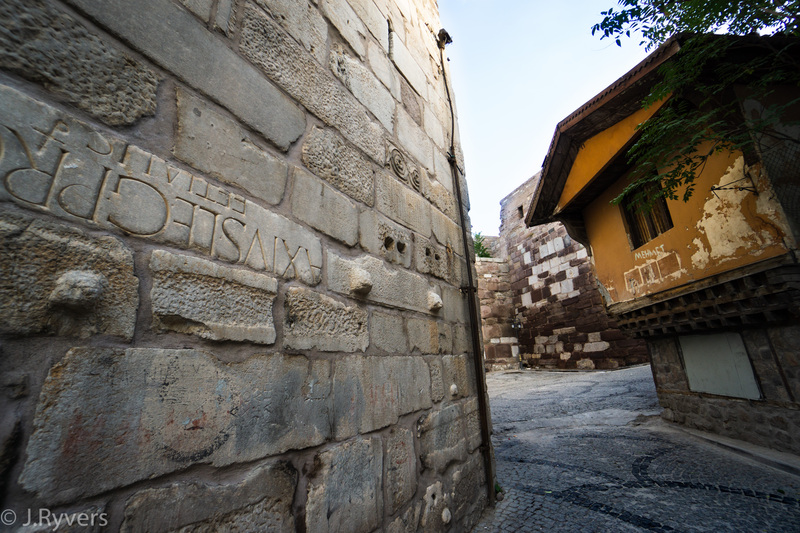 In the walls you can clearly see something of Ankara’s Roman past as many of the stones used in the walls were once used as pillars, bear Latin inscriptions, or even have the carved form of people sticking out of the walls at odd angles. 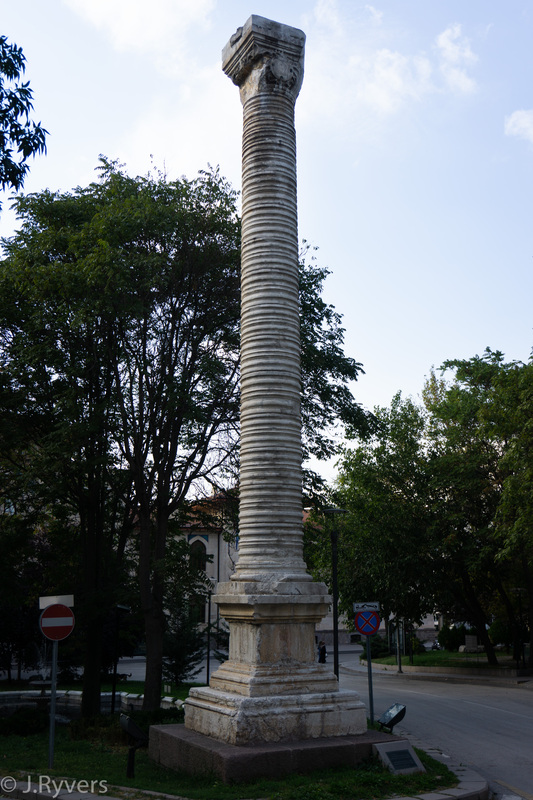 Many of the Roman ruins of Ankara have disappeared as their stones were recycled for later projects. The neighbourhood in and around the castle is very attractive. The buildings on the main street running from the gate to the peak of the citadel have been restored and house cafes, boutique hotels, art galleries, and touristic shops. Off these main streets live much of Ankara’s poor population in dilapidated homes on beautiful winding streets. 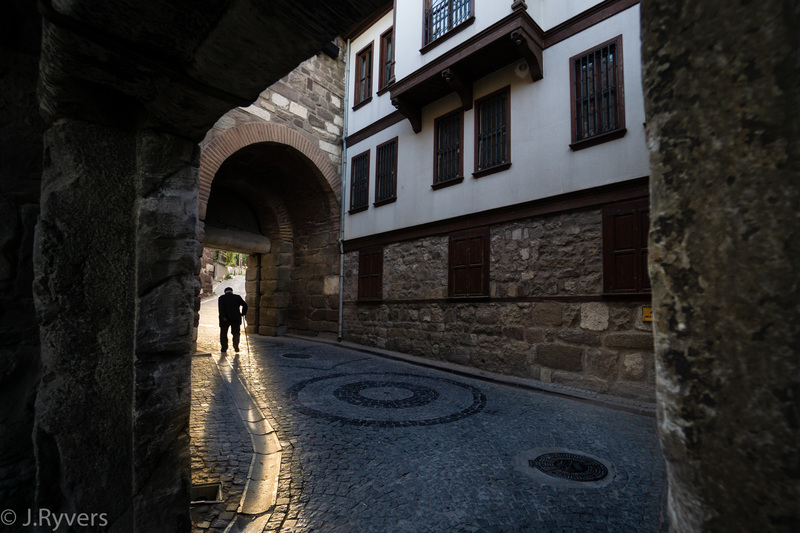 Make sure to wander through this historic neighbourhood on your way back down from the citadel. 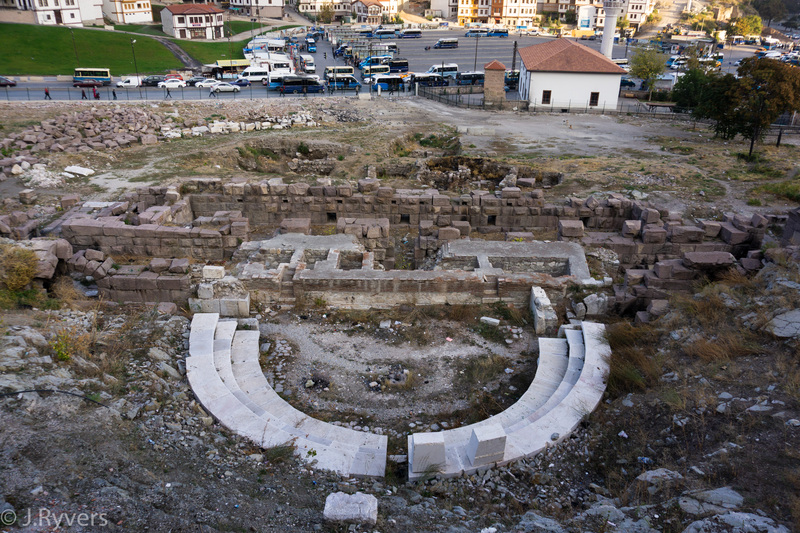 At the base of the hill, between Hacı Bayram and Ankara Castle is a ruined Roman era amphitheatre. 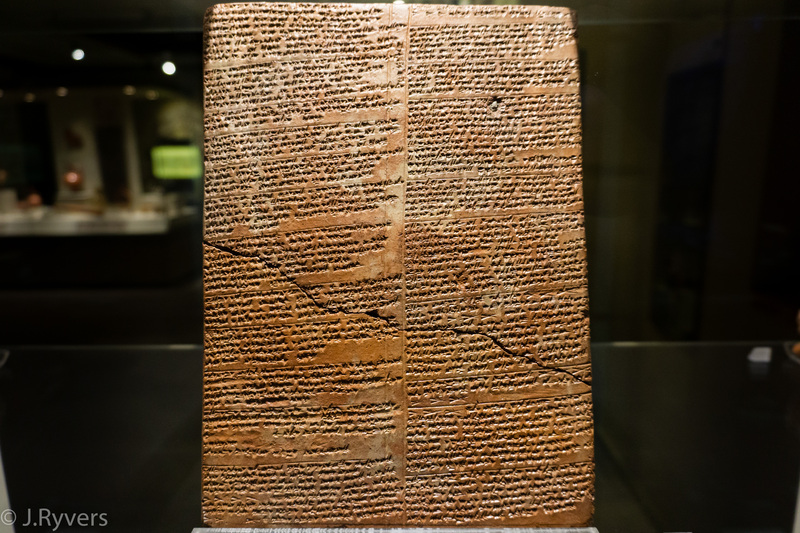 This museum was a personal collection that has been put on display and aims to combine archaeology and art. The first two floors display various items such as painted vases, coins, glass busts, and jewellery, while the bottom floor is used for temporary exhibits. While these change regularly the exhibit we saw was a modern art display focused on Myths and Shamanism. While it’s not a huge collection the art is tastefully presented and even the building itself is a very modern take on Ankara’s classic architecture. 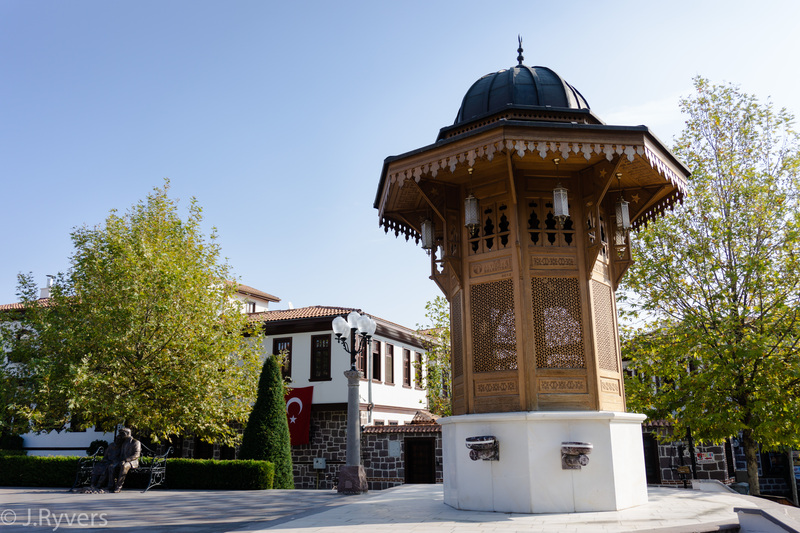 Just south of Ankara Castle is the neighbourhood of Hamamönü, a trendy area of artists workshops, markets, cafes, parks, and fountains set amidst beautifully restored Ottoman houses and mansions. While there aren’t many specific sights to visit this is the best place to partake in Ankara nightlife, try local dishes, and just pass the time. 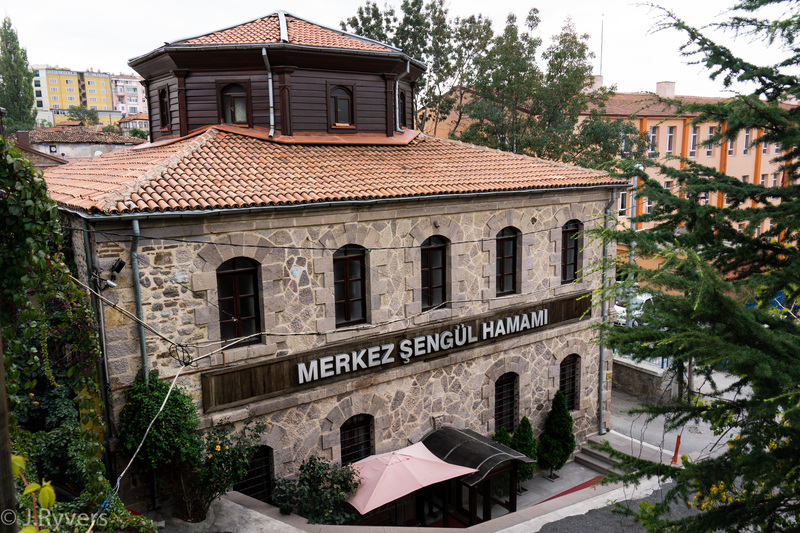 Karacabey Turkish Bath is also found here in Hamamönü. This mosque was built just outside of the castle walls sometime in the early 13th century and rebuilt towards the end of the same century bearing many of the hallmarks of the Seljuk period. 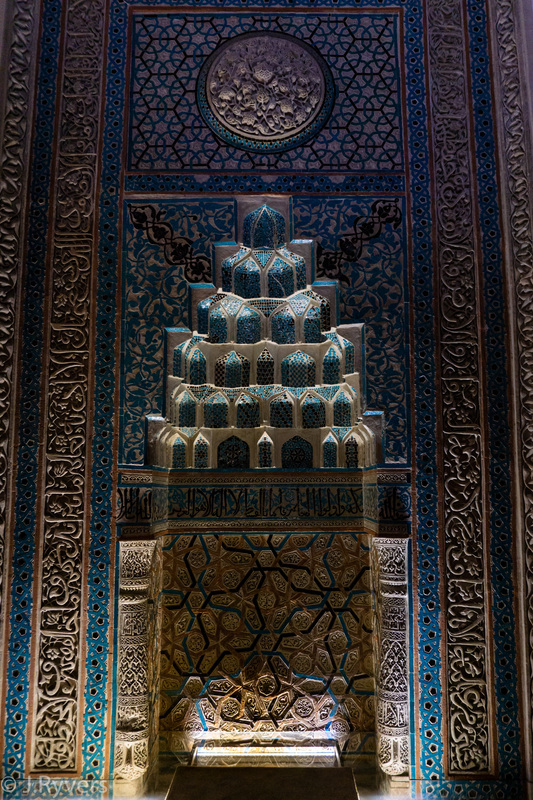 The mihrab, or niche indicating the direction of prayers, is magnificent and the wooden ceiling is also particularly beautiful. You’ll notice the recycled marble capitals sitting atop the wooden posts, looking somewhat out of place. The official name of this mosque is Ahi Şerafeddin, which comes from the founder of the mosque whose tomb sits just up the hill from the mosque itself. 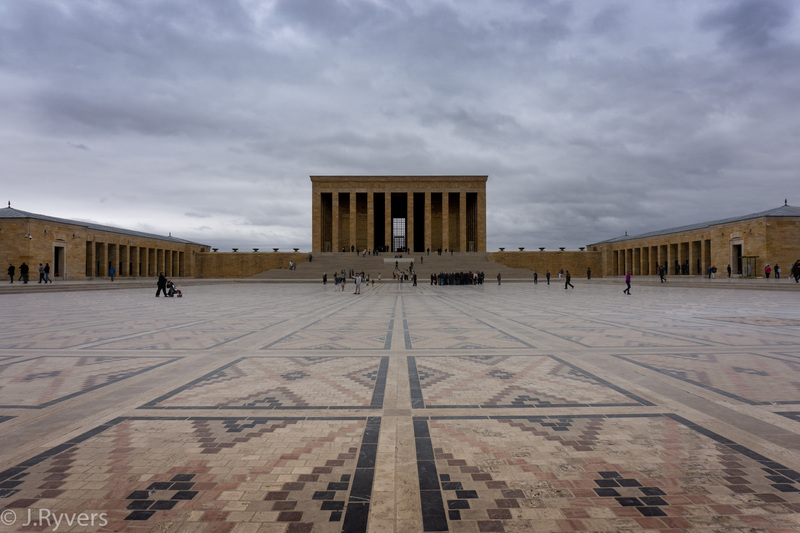 Standing atop a hill in the midst of the modern city of Ankara is the imposing, dramatic mausoleum complex of Mustafa Kemal Atatürk, the shaper and founder of the modern Republic of Turkey. Atatürk did not simply found the country, he drastically altered the face of the nation, everything from educational systems, to clothes, to the language itself. 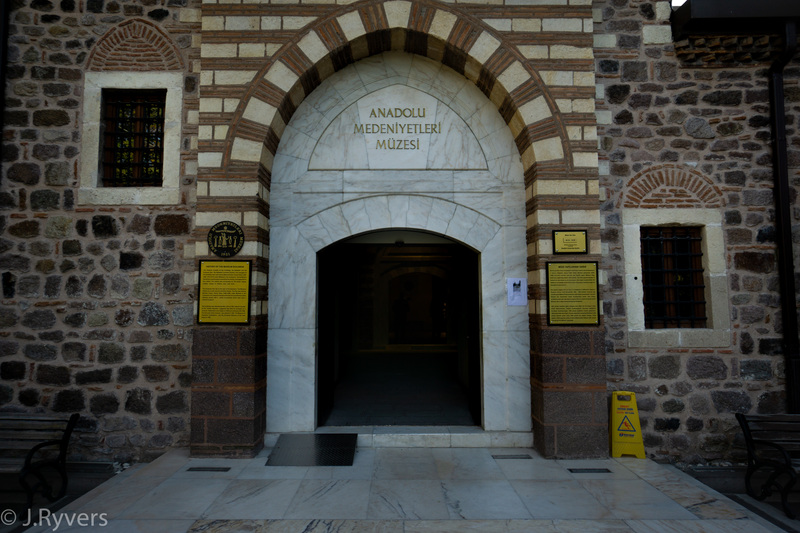 His mausoleum is a testament to his success and the deep level of appreciation that many Turks feel nearly a hundred years after his death. The tomb itself sits atop a massive set of stairs above the ceremonial courtyard and houses a massive stone coffin, though, like the Ottoman sultans who went before him, Mustafa Kemal is buried in the earth below and the 40-tonne solid block is more ritualistic. Make sure to look up at the impressive ceilings. 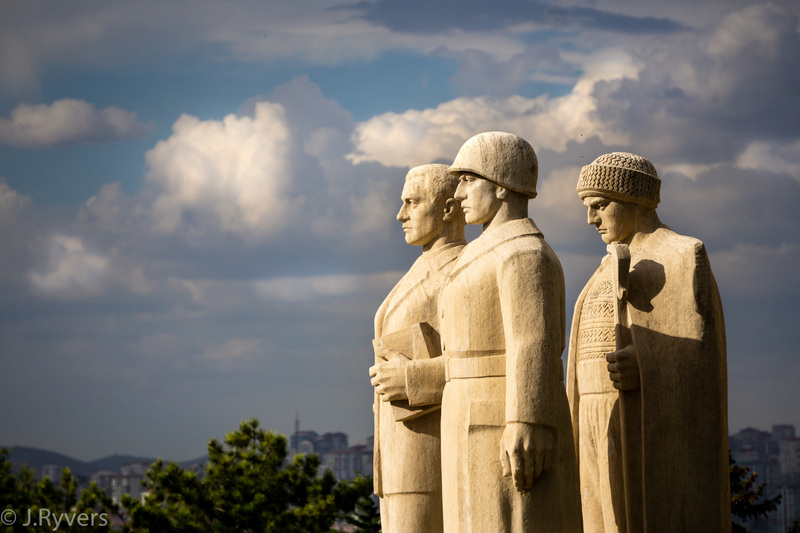 Atatürk is a figure deeply revered by many and so it’s important to treat this place with a sombre respect. Feel free to take pictures but stay quiet as, for many locals, visiting the tomb is something of a pilgrimage. This neighborhood is built on a hill directly opposite to the Ankara Castle hill (south-west from the castle). The neighborhood is centred upon a mid-15th century mosque named after Hacı Bayram, the founder of a major sect of Islamic mystics. The mosque itself is large though unimpressive and owes most of its fame to the importance of its founder whose tomb can be seen behind the mosque. 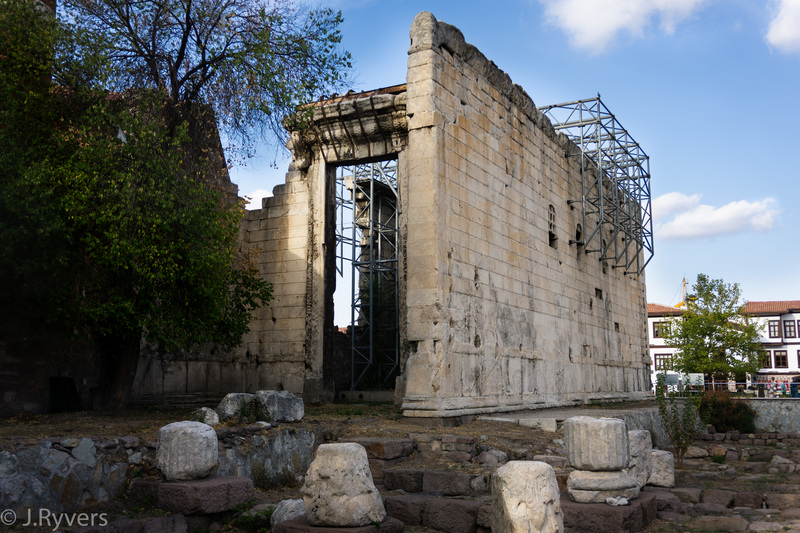 Next to the mosque is the impressive Temple of Augustus, built around 20 AD in honour of the Roman Emperor. Especially interesting is the Greek and Latin inscriptions detailing the accomplishments of the emperor; you can see a translation of the inscription on a sign near the temple. The temple was later converted into a church during the Byzantine period, and a mosque and madrasah, during the Seljuk and Ottoman periods. The neighbourhood centering around the mosque and temple is in the midst of a major face-lift though it is nearly finished. The old buildings have been torn down to make way for new ones built in traditional styles, streets have been widened, and fountains added. In many ways this neighbourhood is like Hamamönü only rather than being trendy it is something of a religious centre. While very open to tourists most of the locals here are more conservative and many of the shops sell items for Haj, the Islamic pilgrimage. To the west of Hacı Bayram mosque, just down the hill, you may spot the 15 metre tall column of Julianus peeking out from between government offices. Only the lower portion of the building remains today as much of the material was taken for other projects. 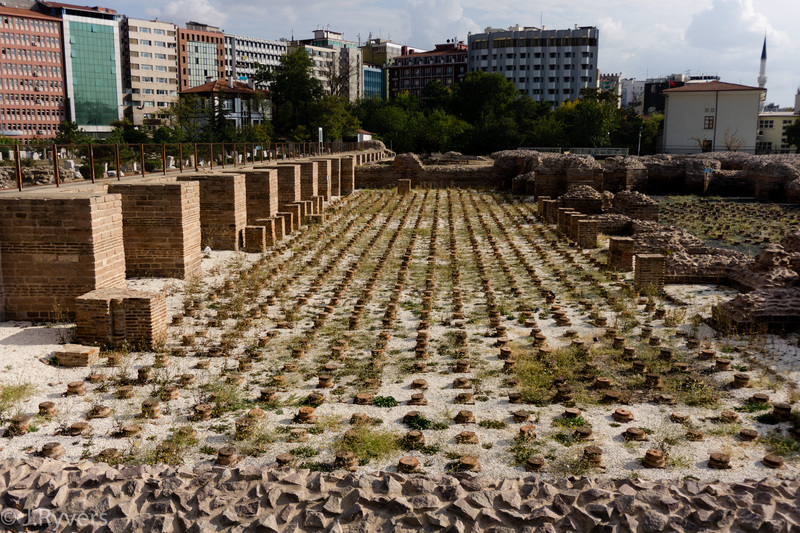 The Roman Bath complex (found in Altındağ) is one of the best testaments to the scale of the Roman investment in what was once Ancyra of the Galatians. While there are only the foundations, some canals, and the piers of the raised floors left today it is clear that the complex was massive. The baths are believed to have been built around 215 AD and to have been in use for around 500 years. What was once an open area for athletes has been filled with an assortment of old pillars, grave stones, and other architectural odds and ends. As it turns out Ankara is the best place to experience a real Turkish Bath. Ankara’s Turkish Baths are not only great quality but still charge local prices unlike many of the baths in Istanbul. 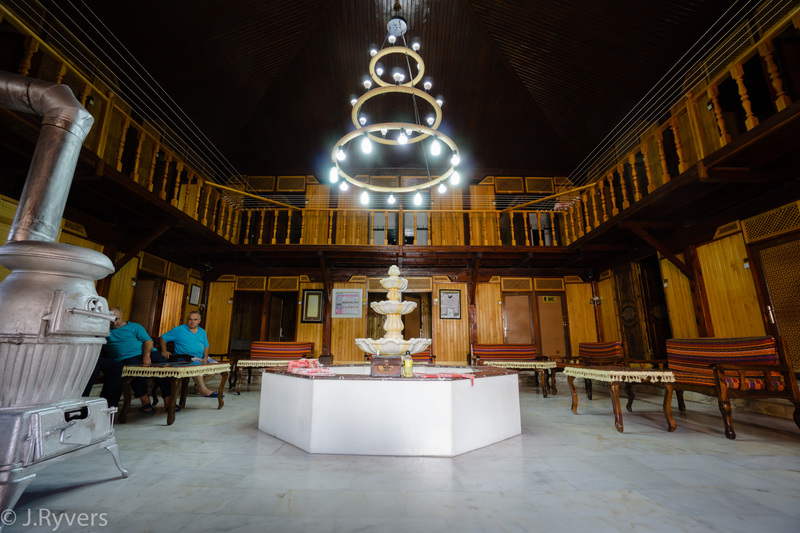 Karacabey is one of the best Hamams in the country, make sure to check out our full in-depth review of Karacabey Turkish Bath! Şengül Turkish Bath is another one of Ankara’s great Turkish Baths and is a great option if you’re looking for a genuine Turkish Bath experience. Make sure to check out our full in-depth review of Şengül Turkish Bath! As Turkey’s second largest city and capital, Ankara is easy to get to if not quite as easy as Istanbul. International flights to Esenboğa airport are common, though depending on where you’re coming from you may need to have a connection in Istanbul. Ankara is probably Turkey’s best city for travel by rail. There is a high(-ish) speed train from Istanbul via Eskişehir, or Konya in the south. There are other lower speed train options connecting Ankara to the rest of the country. One major benefit to visiting Ankara by rail is that the train station is right in the city unlike the airport which is further out of town. The bus is another good option for getting to Ankara. One of the advantages to Ankara is that it is fairly close to the centre of the country and so is well situated for getting almost anywhere. The Ankara coach station (Ankara Gar) is a major hub with regular service to and from all over the country. Ankara’s greatest draw tends to be foreigners headed to business meetings, embassies, and government offices, and so many hotels, aiming at this crowd, are nowhere near the touristic sights. 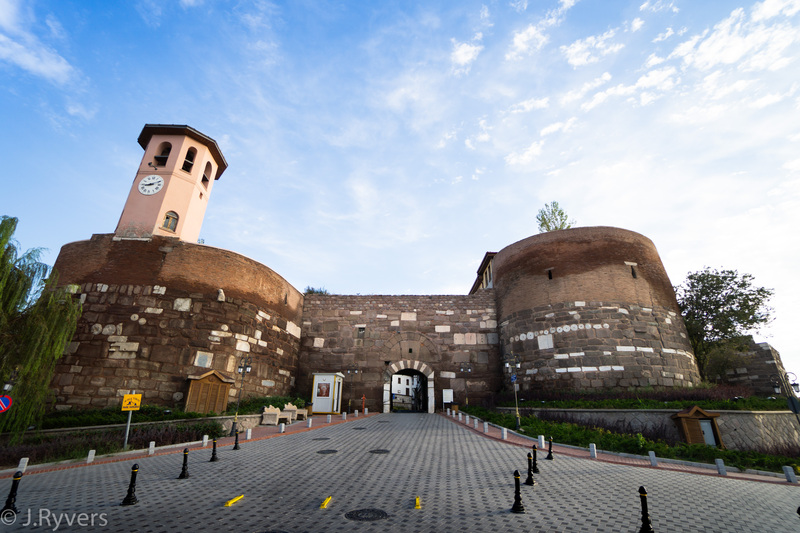 If you’re looking to stay close to the sights then the boutique hotels of Ankara Castle, Hamamönü, and Hacı Bayram are great options. Here you can find everything from one to five star hotels. Stay away from the hotels on the southwest corner of the Castle. The worst of these are used as cheap brothels. Planning on visiting Ankara? Make sure to check out what other sights are in the region!